My trip kicked off at the Park Hyatt in Beijing, probably the finest hotel in town with an amazing view. 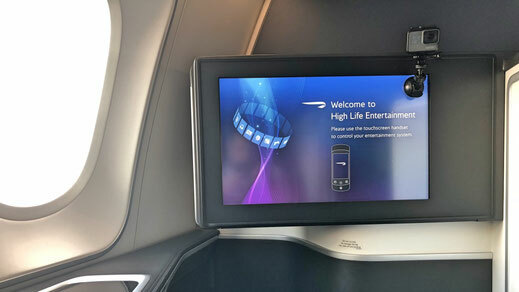 British Airways has been operating their brand new 787-9 Dreamliner since October 2017 after previously using the Boeing 777, which I have reviewed earlier this year, on the London - Beijing sector. 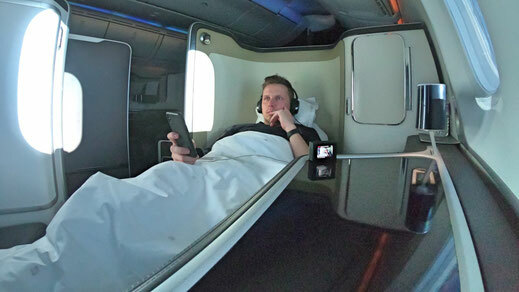 The 787-9 features a First Class Cabin which the dash 8 doesn't do. 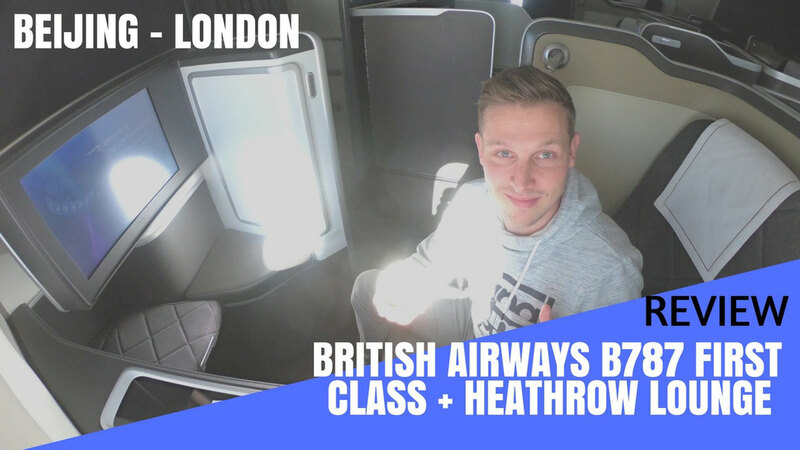 If you don't want to read the review (I know, too many words) you can just lean back and enjoy my video report which gives you a detailed inside of what it's like to travel on British Airways First Class and experience their lounge. My trip once again started at Terminal 5 at London Heathrow. The Check-in is fairly easy and you have no queues. Also the security checks are done in less than 10 minutes. From there I proceeded directly to the lounge. As a First Class passenger you have access to either the Galleries Lounge or the famous Concorde Room which is wasn't aware of, so I went for the first, not so popular option. 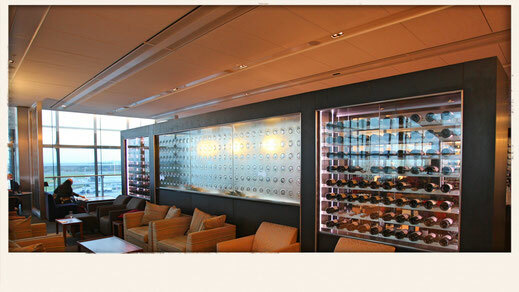 The lounge is alright and offers all the basics as well as the 'Champagne Room' which offers a bit more privacy. The buffet wasn't anything special and the food rather average. 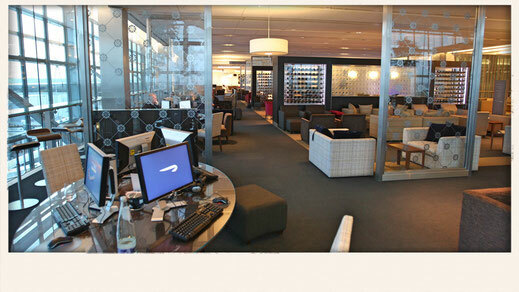 I'd strongly recommend the Concorde Room if you fly First with British Airways. 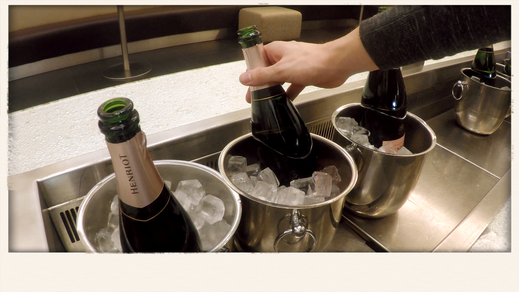 However I did a comprehensive review on BA's First Class lounge in my previous 777 review. 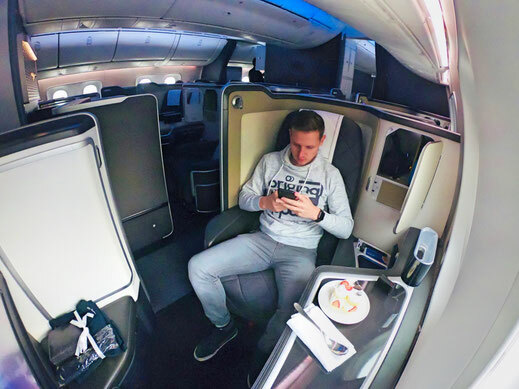 If there was such a thing like a Premium Business Class, that's how British Airways should advertise their First Class product. 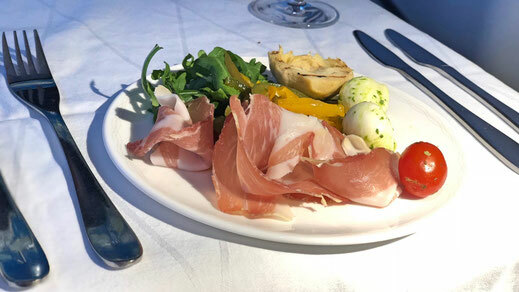 In comparison to other First Class products such as Emirates or Lufthansa, BA doesn't really match those seats, service and extras. 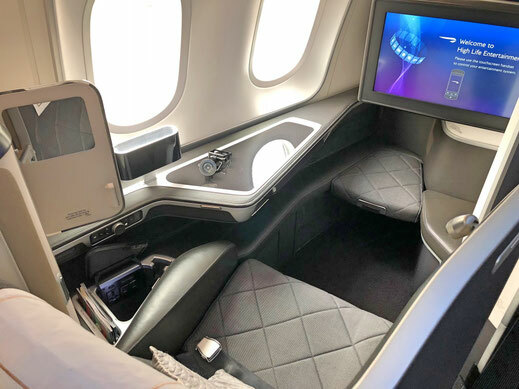 However if you have ever travelled on BA's Club World (Business Class), which is one of the most outdated products in the world, you'll love the First Class cabin. 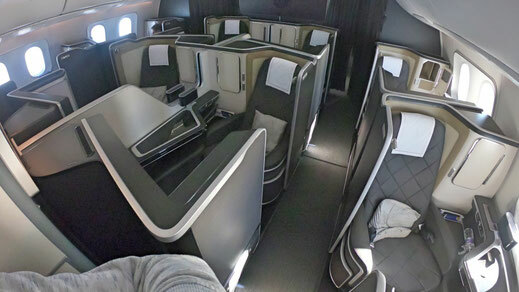 Find a seat map of BA's First Class Cabin on the 787-9. The seats goes fully flat and is very comfortable, no doubt.You have heaps of storage space to your left. 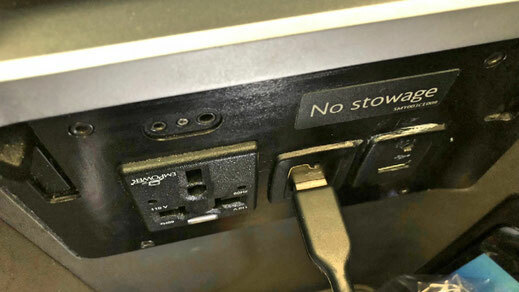 This is also where you find the remote and USB slots as well as a power plug. 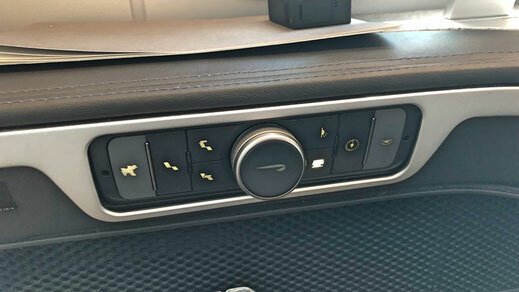 You can also operate all the lights from that little panel where you also find the seat controls. There is no Wi-Fi on board! But I have heard from next year on BA's plans to equip their birds with internet on board. As a First Class passenger you get an amenity kit as well as a very comfy pajama. The bedding consists of decent blanket and a pillow which were of good quality. Overall the sleeping experience was great. The seat though feels a bit narrow which once more proves the fact that this isn't really a first class product. For dinner and breakfast, the set up is great. The table is very spacious and you can rest your drinks on the extra bit next to the window. 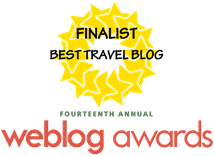 It doesn't feel cramped, which I really liked. The entertainment options didn't satisfy me to be honest. I watched the new Mummy movie with Tom Cruise and to be honest, it was rather boring. Unfortunately BA's doesn't offer any internet on board. 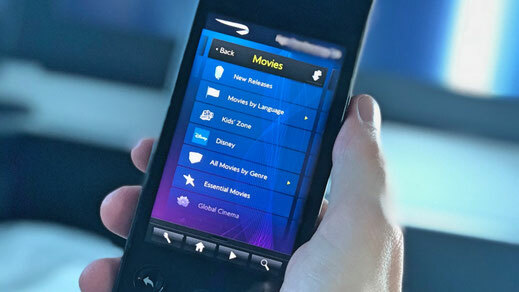 I mean I like the size of the screen as well as the headphones but don't get too excited about the variety of movies and entertainment options. 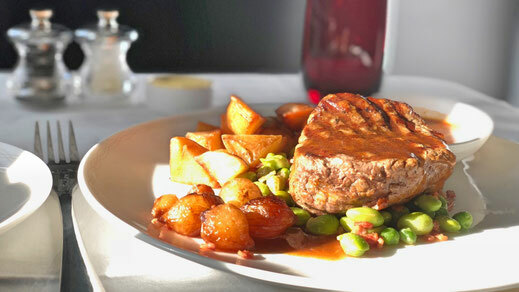 For the main course I tried the steak which was extremely well-done. The sauce was great though. 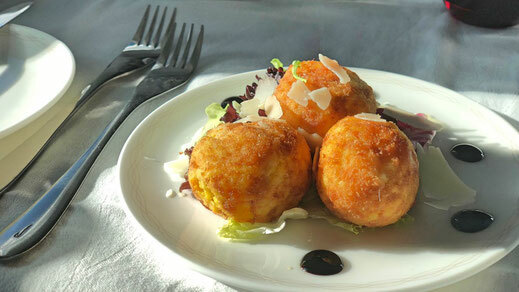 Also on the menu: Pan-seared fish, braised pork, ricotta ravioli or grilled prawns. The wine list however was very first class. Some highlights such the Chateau Cantemerle 2009 or a Brocard Chablis if you rather fancy a white wine. 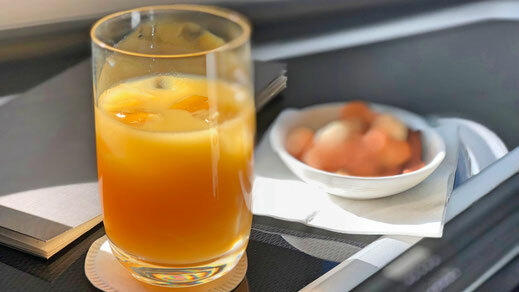 Throughout the flight I was constantly offered more drinks or refill. 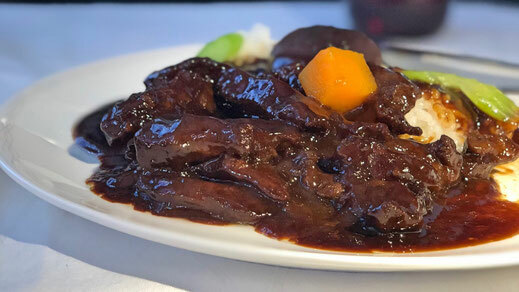 After a few hours of sleep it was time for lunch again more or less where I was offered a beef stew as well as a carpaccio. 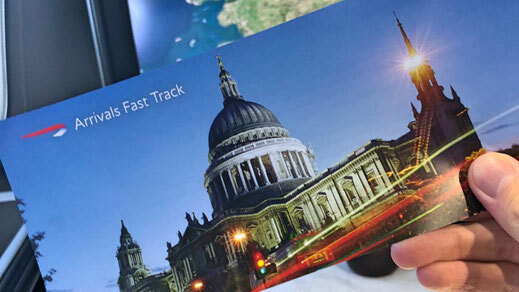 Prior landing the crew handed out Arrival Fast Track cards which I didn't really need since EU-citizens can use the e-gate at Heathrow. 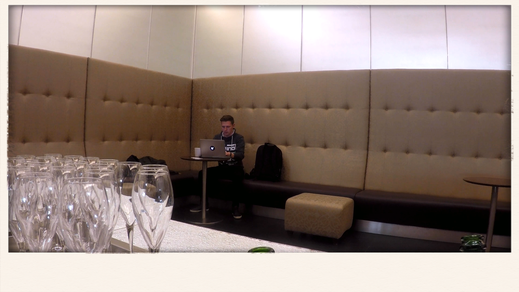 If you happen to fly in at Terminal 5 you can use the arrival lounge which offers shower facilities a lovely buffet, internet and heaps of seating. 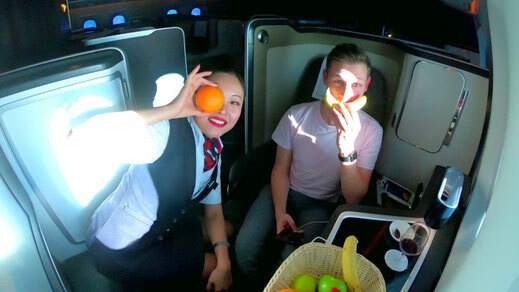 I enjoyed the service on both flights and the extreme friendly crew. However the entire experiencing isn't really first class. 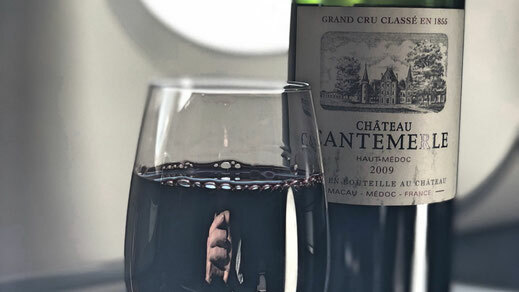 I mean I love the seat but it's no comparison to what other airlines offer in First Class. Also the dinning experience wasn't anything fancy. 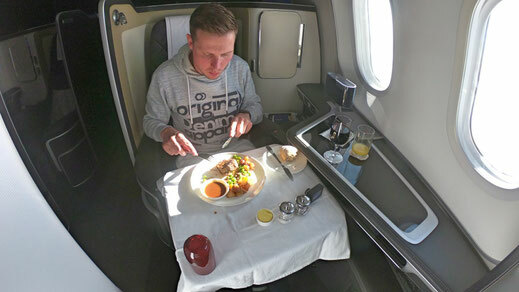 If there was a Premium Business Class than this would be an alright product, otherwise I wasn't too impressed. I have been on more exciting First Class flights, that's for sure.